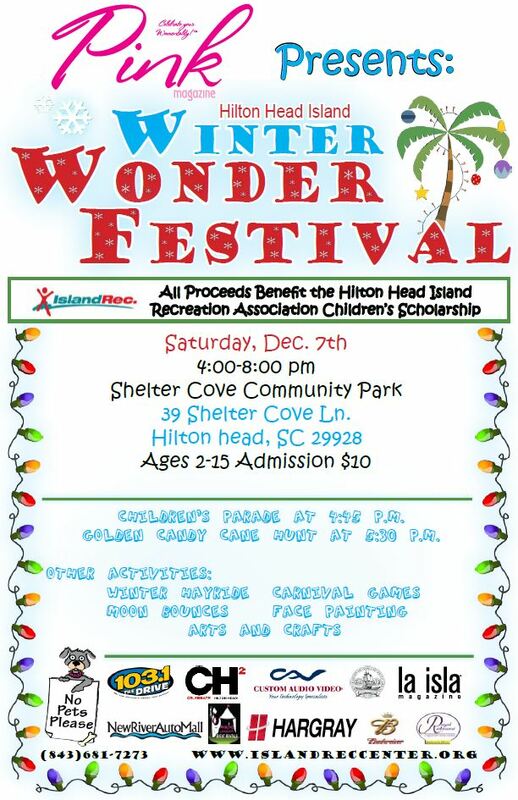 This Saturday, December 7th is Hilton Head Islands Winter Wonder Festival at Shelter Cove Community Park! Take a hayride, enjoy the children’s parade and take part in the candy cane hunt! Admission is $10 for kids 2-15, free for parents. Holiday Lights at Harbour Town! — Bluffton Christmas Parade!